Nearly half of the Honduran population lives in rural areas, where the poverty rate is very high. Honduras has experienced strong economic growth, but this growth has not led to higher incomes or significant growth in the employment market. On the contrary, the levels of inequality have risen, particularly since the political crisis of 2009. This situation particularly affects smallholder populations in the most isolated regions of Honduras, namely those in the south (Choluteca, Valle) and west (Intibucá, Lempira, La Paz) of the country. 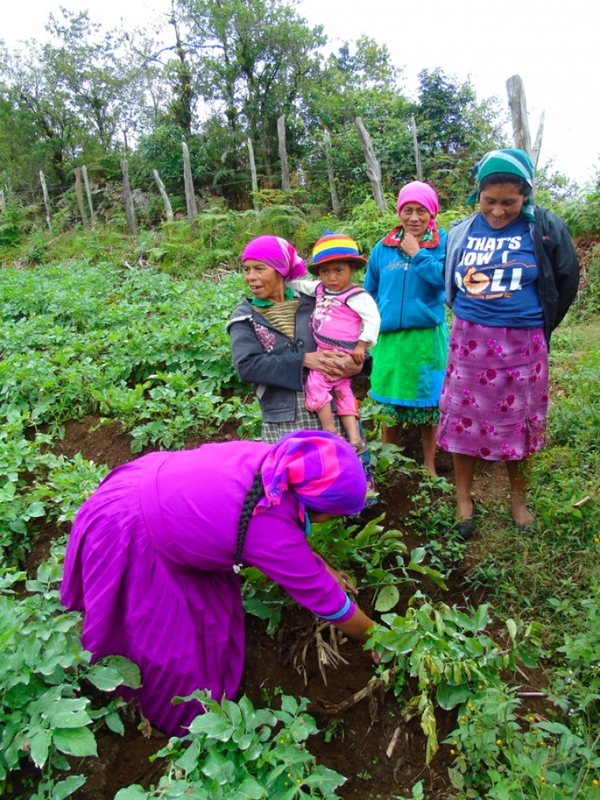 Smallholder farming, however, is extremely important for Honduras’ food sovereignty and food security. Two key areas to focus on therefore are boosting agricultural production and strengthening local economic initiatives to better promote this production on local markets. Another major issue is getting smallholder, economic, and social organizations to work together on land management with local authorities and other economic actors. AVSF and VSF Justicia Alimentaria Global are working in Honduras in support of smallholders. Promoting diversified smallholder farming based on agroecological practices through community-based training workshops; the provision of basic equipment for diversification (small irrigation systems, plot fencing, etc. ), and the implementation of complementary activities (peasant competitions, fairs, exchanges of experience, etc.). Strengthening producer organizations for better access to marketing channels: technical training and equipment to improve the quality and presentation of their products, organizational and entrepreneurial training and accompaniment. Supporting groups of women and young people for the establishment of associative initiatives for the production, processing and/or marketing of products. Strengthening the advocacy capacities of producers’ organisations for the establishment of more effective policies of local economic development and food security.